40 Watt Incandescent Desk Lamp With On/Off In-Line Switch. 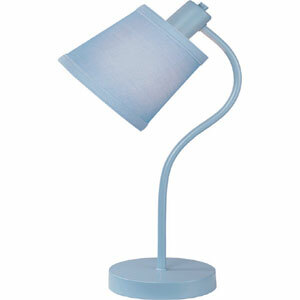 The Kiden Features A Metal Body With A Fabric Shade Available In Light Blue, Green, Pink, Purple, White Or Yellow. Bulb NOT Included. Strong Construction. Easy To Assemble.